Citing on-going confusion over merchant discount rates by business owners, Ratecreditcardprocessing.com has released a comprehensive report detailing information vital to companies shopping for credit card processing. Ratecreditcardprocessing.com, the industry's leading comparison engine for credit card payment processors, announces the release of its latest report detailing how merchant discount rates work and revealing what business owners need to know. According to the site, merchant discount rates are basically the dues, fees and charges business owners are required to pay for accepting credit payments on a per transaction basis. “When processors are taking a slice of every sale they process, discount rates can really add up. A small reduction of rates from high volume merchants can translate into very significant savings,” Mr. Wong added. 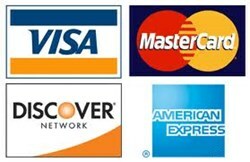 To learn more about merchant discount rates or to read the customer reviews of payment processing services consumers ranked best of 2013, visit http://www.RateCreditCardProcessing.com. Do business with the best. Read only 100% driven reviews and feedback and compare over 50 payment processing merchants competing to process credit card transactions.